Sleek and stylish, the clean lines of this table lamp will accentuate any decor style. 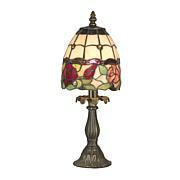 An imposing 30-1/2" high, this lamp demands center stage in your dining room, living room or office. 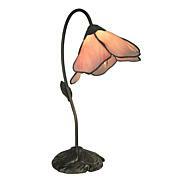 Or, make a big splash by displaying a pair in your favorite space. 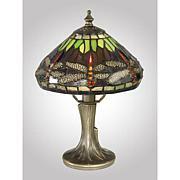 Dale Tiffany Enid Table Lamp The Miniature series encompasses the beauty and elegance of the Dale Tiffany Classic Collection you may know and love, presented in a smaller package to fit in any size room. 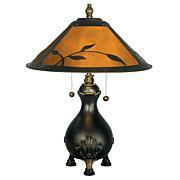 The colorful art glass shade sits atop a beautifully designed base with an antique brass finish.